This sounds vaguely familiar, but we are losing track of the celebs that are doing collections for home shopping networks. In any event, Evine Live put out a press release Wednesday saying that Vanessa Williams was bringing a fashion line, V. by Vanessa Williams, to the network March 19. Williams, of course, built a great career in music, TV (loved her on “The Good Wife”) and on Broadway despite the scandal that ended her brief stint as Miss America. “America has grown to love Vanessa through her many accomplishments in music and on television and on stage but few know about her passion for fashion,” Russell Nuce, Evine Live’s Chief Strategy Officer, said in a canned statement. And Williams had her own canned comment. V. by Vanessa Williams includes jackets, dresses, tops and bottoms and feature soft colors. She also achieved a career pinnacle with a star on the Hollywood Walk of Fame in 2007. HSN will release its fourth-quarter and 2015 results Feb. 24, the home shopping network said Wednesday. The earnings will be reported at 8 a.m. before the market opens. CEO Mindy Grossman and Judy Schmeling, chief operating officer and chief financial officer, will hold a conference call at 9 a.m. to review the results. A replay of the conference call can be accessed until March 9 by dialing 855-859-2056 or 404-537-3406, plus the pass code 29819564 and will also be hosted on the company’s website for a limited time. HSN has cooked up yet another partnership tied to a theatrical release, this time with DreamWorks Animation for “Kung Fu Panda 3,” which debuts Friday. DreamWorks animators have developed “exclusive custom animation to introduce characters from the film into HSN’s movie event, which includes 10 hours of dedicated ‘Kung Fu Panda 3’ programming throughout the week leading up to the film’s release,” the home shopping network said in a press release Tuesday. That includes insertions in Ming Tsai programming on Wednesday; “The Beauty Report with Amy Morrison” on Thursday; and “The List with Colleen Lopez,” also on Thursday. The collaboration features a variety of products from the jewelry, beauty, apparel, accessories, electronics and culinary categories, featuring merchandise from HSN vendors and brands Iris Apfel, Heidi Daus, Korres, Prai, Martino Cartier, Peace Love World, Diane Gilman and Danielle Nicole. In addition, Tsai is the voice of a character in the movie, HSN said. The collection incorporates movie-related themes such as jade, food, black and white and Chinese artwork. Additionally the HSN Arcade is featuring four “Kung Fu Panda 3”-themed games. “Storytelling is at the core of what we do at HSN and ‘Kung Fu Panda 3’ is yet another opportunity to infuse a bit of fun into our product assortment and programming as part of our ongoing entertainment strategy,” HSN President Bill Brand said in a canned statement. QVC’s parent, Liberty Interactive Corp., will release its fourth-quarter earnings Feb. 26, the home shopping network said Tuesday. Liberty President and CEO Greg Maffei will host a conference call to discuss results for the quarter at 12:15 p.m.
During the call, Maffei may discuss the financial performance and outlook of both companies, as well as other forward-looking matters. The fourth-quarter earnings conference call will be broadcast live via the Internet. All interested participants should visit the Liberty Interactive Corporation website at http://www.libertyinteractive.com/events to register for the web cast. Links to the press release and replays of the call will also be available on the Liberty Interactive website. The conference call and related materials will be archived on the website for one year. 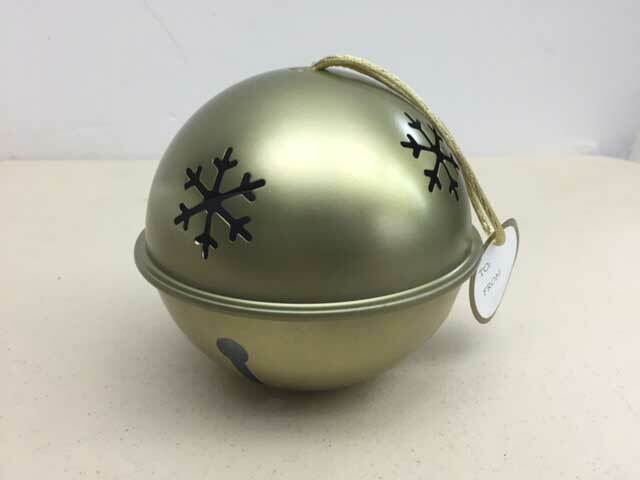 Christmas ornaments that QVC sold for the holidays have been recalled after customers complained that they had cut their fingers on the decorations. The U.S. Consumer Product Safety Commission issued the recall of 25,000 box sets of the Cheryl’s Jingle Bell ornaments with cookies and confections. The agency reported that the cutouts on the ornaments “have sharp metal edges that pose a laceration hazard to consumers.” QVC received 140 reports of people cutting themselves while handling the ornaments, including four that required stitches. This recall involves Cheryl’s Jingle Bell ornaments that were sold with 64 cookies and confections. The round aluminum ornaments measure approximately 4 inches in diameter, have four snowflake cutouts and were sold in a set of eight units per box (two each of red, green, gold and silver). QVC and QVC.com sold the ornaments last November through December for $55. Customers were told to stop using the ornaments and to return them to QVC for a full refund. Joy Mangano’s updated Miracle Mop has only averaged a 2.2 rating out of five stars, based on more than 1,400 reviews, according to HSN.com. But when we started to go through them, we had a hard time finding anything but “pristine” five-star ratings. What’s up with that? We heard from one reader that the mop is so tricky to assemble that the home shopping network has now included special instructions on putting it together on its website. We’re a little behind to blog about this point, but Mangano’s products are now not only being sold in Macy’s. They are also being peddled in other brick-and-mortar retailers such as Bed, Bath & Beyond and Target. If we had known that, we would not have bothered to order Mangano’s mop and bucket from HSN. Right now they are sitting, still in their boxes, in our living room. Mangano, the inspiration for the Jennifer Lawrence film “Joy,” sold more than 210,000 mops in one day. First, HSN host Colleen Lopez tripped over her dog and fractured her elbow recently. Now one of the home shopping network’s vendors, fashion designer Antthony Mark Hankins (from Elizabeth, N.J.), just posted a photo of himself on crutches in a hospital room on Facebook. “My newest fashion accessory: ‘crutches,'” he wrote. He didn’t explain what happened, but his right foot or leg was injured. It looks like Daniel Green is doing very well post- life as a host at Evine Live. We are told that Green, who just wrote a book on the Paleo diet, s now the Executive Chef for Minneapolis-based Crave America, a restaurant chain. If you look at Green’s Facebook page, you will see that most recently he made several TV appearances in Las Vegas, including one on ABC affiliate Channel 13. Crave opened in Vegas in October, and Green is promoting it. We posted this on Facebook a week or so ago, but for those who missed it, here goes. Leave it to one of our fellow Jerseyites to use the F-word on QVC, much to the chagrin of host Leah Williams. Caller Rosalie announced that she was from South Jersey and lived on an island — an area with few stores — so she said she purchased her clothes from the home shopping network. She particularly liked the proprietary brand Denim & Co.
At that point you hear a male voice, apparently Rosalie’s husband, in the background. “Do you see I’m on the f–king phone?” Rosalie shouted at him — and to QVC’s audience. Who were the PR wizards at QVC that let this nut come to West Chester to do a story on the home shopping network? They couldn’t smell a hatchet job, or what our friend, ex-New York Daily News reporter Pat Clark, used to call a “stiletto job,” coming? We’re talking about writer Mark Wilson, who said that even he was surprised when QVC said yet to his request to train to go on-air to sell a product on the channel and then do it. Actually, to be fair to QVC’s PR staff, Wilson appeared on QVC Plus, a QVC spin-off with very limited distribution. Nonetheless, it gave Wilson the opportunity to write his tome, “I Went On The Air at QVC And Sold Something To America,” for Fastcodesign.com. Wilson blows the lid off the home-shopping industry by making this shocking discovery: It wants to do its damnedest to sell you stuff! QVC actually trains people to go on TV to sell! The network actually demands that its hosts dress well and be well-groomed, i.e. no beards! As for the dress code, Wilson describes one of its “quirks” is that “print shirts were not to be worn.” Isn’t that one of TV’s basic rules? We hate to be in the position of defending QVC, or any of its competitors. There are legitimate complaints about home shopping nets, the worse of which, we think, is that people get hooked and end up buying stuff they don’t need, getting buried in debt and sometimes going bankrupt. We’ve seen those stories about elderly women who die and have thousands of dollars of QVC or HSN merchandise — jewelry, cookware, etc. — hoarded away. But frankly, that’s like blaming Atlantic City for gamblers betting away their mortgage money. Wilson wrote what our friend, journalist and author Gary Belsky, used to call a “goat gagger,” namely a very, very long first-person story on QVC. Wilson went to QVC TV “bootcamp,” and then appeared with host Albany Irvin to pitch the Halo 3000 Portable cellphone charger. In the story, he described the product as “bulky,” “hideous” and something he would never buy. We don’t know where to start to talk about the story. We guess it’s too much to expect that journalists will stop perpetuating years-old stereotypes about home shopping channels, namely that they just sell cubic zirconia and that shoppers are all a bunch of old bags — in his view, anyone over 35. “From Day One, QVC’s niche was the unhip,” Wilson writes. He never intended to write an objective story, and we guess that’s fine. Nah, it’s not fine. He’s an idiot. Not once in the story does he talk about QVC’s wide array of vendors, who include top respected brands in electronics, apparel, cookware, beauty, shoes, jewelry, etc. You know them. Dell. Bose. Judith Ripka. Dennis Basso. Isaac Mizrahi. Bob Mackie. Halston. Kenneth Cole. KitchenAid. Honora, Keurig. Serta. Dyson. Bobbi Brown. Tarte. Apple. Samsung. LG. HP. Toshiba. Fitbit. Perricone MD. Cuisinart. Whirlpool. Pretty shoddy products, wouldn’t you say? And what about the musical artists who have performed and sold CDs on QVC, like Sheryl Crow? Look around any workplace — how many times do you see a bunch of excited, happy campers? For a fossil, in a world where brick-and-mortar retail is seeing its sales slide, QVC is still managing to make money. A lot of it. Wilson also spelled Rachael Ray’s name wrong, as he did the town where QVC is based. It is West Chester, not Westchester. But we digress. We got into home shopping because we love jewelry and have been interested in gems and rocks since we were little. We enjoy the variety of baubles available on QVC, etc., and the stories that vendors such as Jay King and Paul Deasy share. We have no interest in computers, but we appreciated that on-air tutorial we got from QVC when we bought a Dell laptop from the channel. Home shopping networks are instructional, with experts that can explain products better than your average store clerk. QVC allows you to buy big-ticket items over time, in monthly installments, without paying interest. “Why did I pitch this stupid story?” Wilson writes at one point. You are currently browsing the Homeshoppingista's Blog By Linda Moss blog archives for January, 2016.